The Xotic Bass RC Booster Effect Pedal is a boost bass guitar effects pedal featuring true bypass. 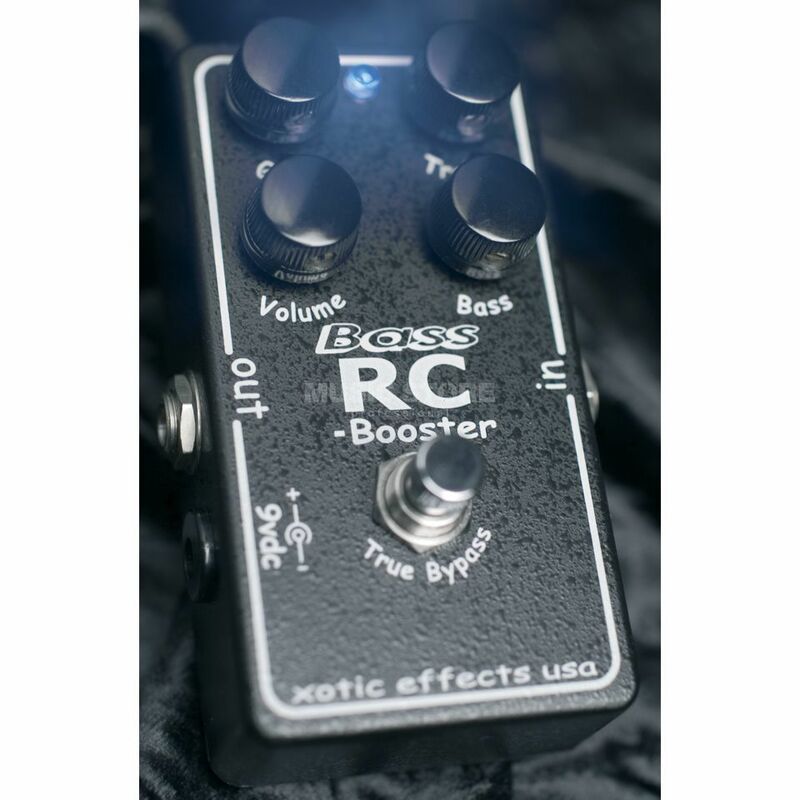 The Bass RC Booster is a boost pedal with a 2 band EQ, 15dB boost / cut function and a very smooth clean boost, meeting a wide range of tonal applications. With signal loss and EQ limitations being common for vintage basses, the Bass RC Booster remedies this annoying circumstance. This pedal is designed to enhance your bass guitar tone without masking it. True bypass is included to eliminate any signal interference when switched off. This pedal can be used with AC adaptor (optional) or 9V battery.